Born in Rosario (Argentina) on November 20, 1962, Martino joined Barça on July 26, 2013 after a highly successful playing career in South America and an impressive spell in charge of Newell’s Old Boys in Argentina. Tata’s Barça made a good start to the season, beating Atlético Madrid to take the Spanish Super Cup and then putting together the best ever start to a league season at the Club, with straight wins in the opening eight games, scoring 28 goals and conceding just 6. 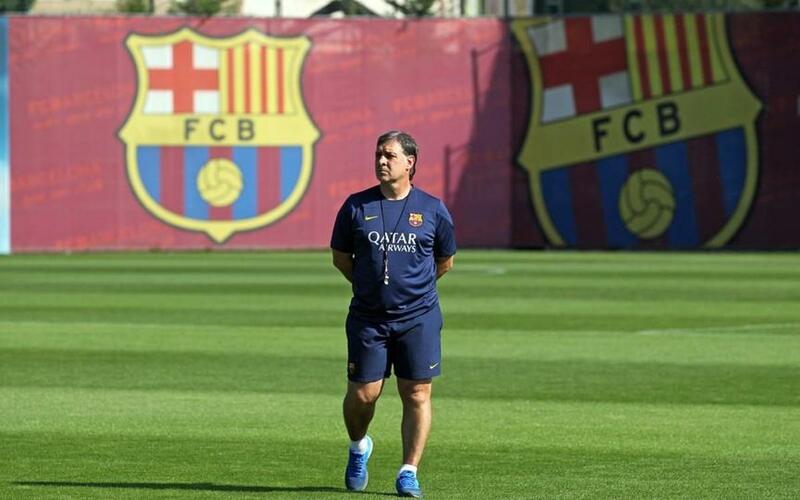 Martino also broke the record for most games unbeaten at the start of a season for a new coach at the Club, going 20 games without defeat (14 in the league, 4 in the Champions League and the 2 legs of the Spanish Super Cup), as his side chalked up 16 wins and four draws, scoring 52 goals and conceding only 11. Unfortunately, that great start tapered off, as injuries to key players such as Valdés, Piqué, Alba, Neymar and Messi affected the team’s overall performances. However, they were only minutes away from a Copa de Rey final victory against Real Madrid and came into the final league game needing a win at home to Atlético Madrid to retain the title. After going one up in the first half, Martino’s side saw the eventual champions peg them back and take the point they needed to deny Barça the title. It was also Atlético who also dashed Martino’s European ambitions, dumping his side out in the quarter-finals. At the end of the 2013/14 season, Martino left the Club, having seen glory cruelly snatched from him in the final game. Of his 59 games in charge (38 in the league, 10 in the Champions League, 9 in the Spanish Cup and 2 Spanish Super Cup matches), Martino saw his side win 40 games draw 11 and lose 8 times, scoring a total of 148 goals and conceding 48. Martino had been a skilful midfielder during a playing career that took him to Newell’s Old Boys, Tenerife, Lanús, O’Higgins and Barcelona de Guayaquil until he hung up his boots in 1996. His first managerial post came in 1998 and he went on to manage Club Libertad (Paraguay), the Paraguayan National side and Newell’s Old Boys.